Tanners Team Sports Inc. was named the Best Small Business of the Year at the 2018 Community Service Awards in Hot Springs National Park. The awards were presented on Jan. 17, 2019 by the Greater Hot Springs Chamber of Commerce. 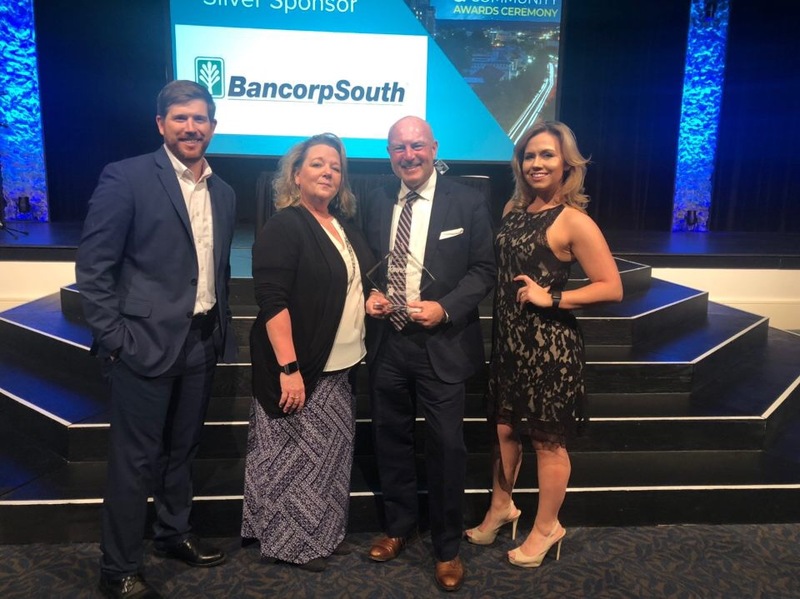 Accepting the award in the photo is, from left to right, Dusty Thornton, VP of Marketing, Jeannie Stringer, COO, Vince Signorelli, CEO, and Sara Ericson, VP of Sales. Tanners is proud and pleased to have received this honor, and the company knows is it only through the efforts of their team and customers.